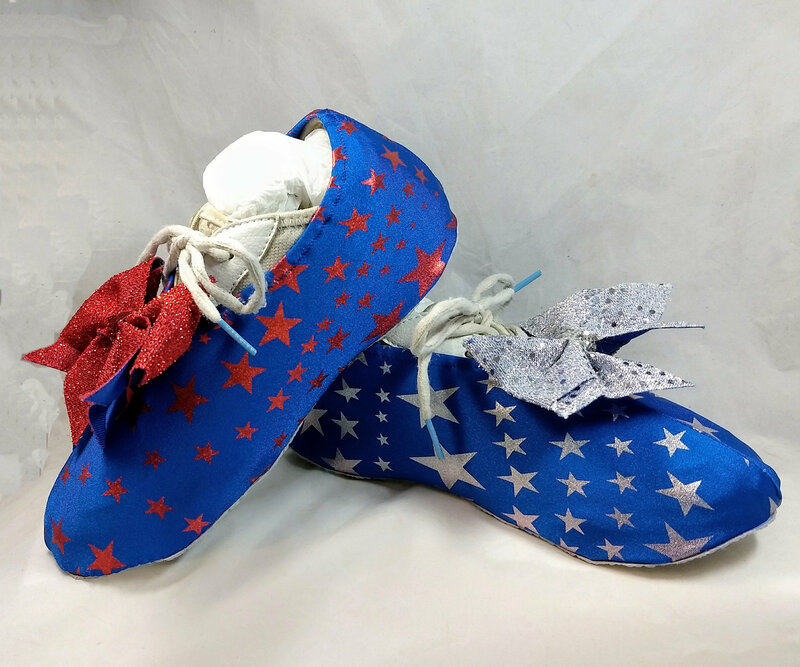 Our newest style - blue with silver or red stars. Ombre red to silver version with blue stars. 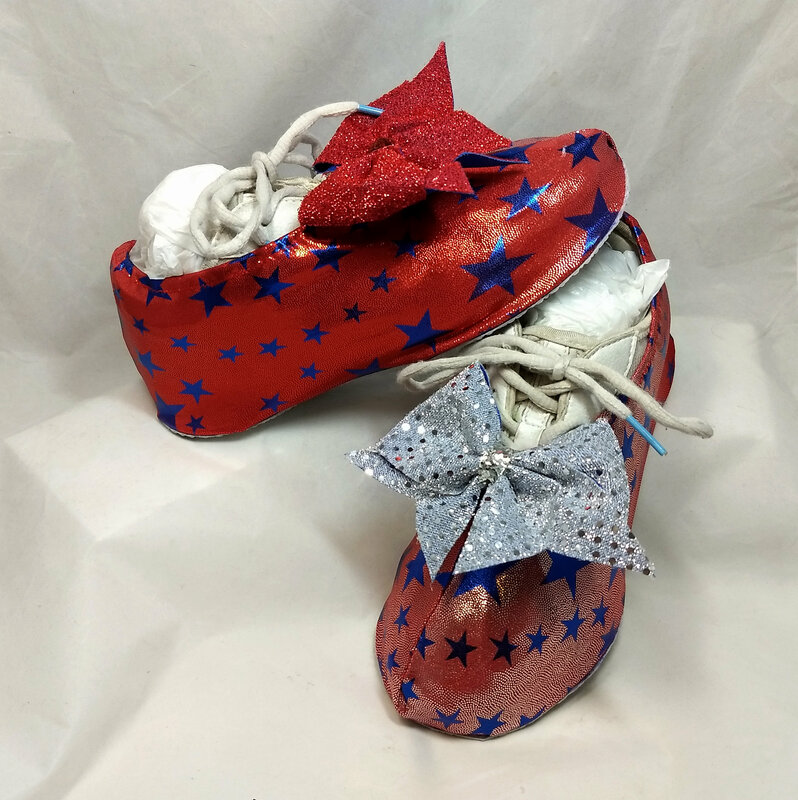 Great way to show your all star status with flair while keeping shoes in tumble ready condition. The shoe slip-on is made from thick lycra material which stretches over the cheer shoe. the sole is made of a tough vinyl that stands up to different surface types. The bow is detachable, can be made in any color scheme to coordinate with costumes or uniforms. 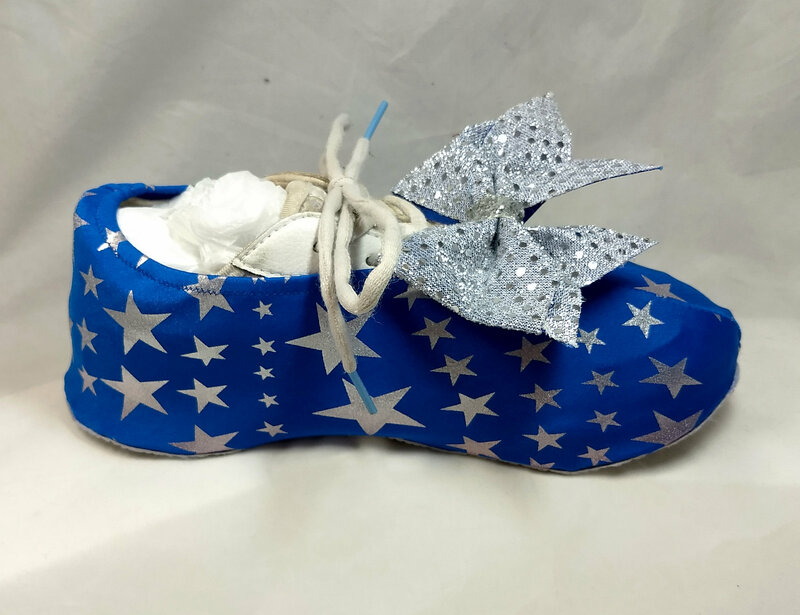 Check out all of the cheer shoe styles - something for any team!